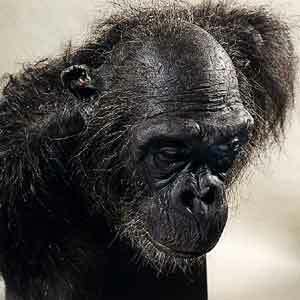 The basis for the face was a cast of a chimpanzeeskull. 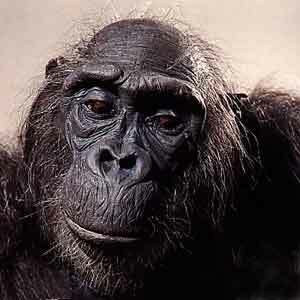 Oog in oog met chimpansees,	Jane Goodall. Several articles in magazines as GEO, Nature, BBC Wildlife and National Geographic Magazine.